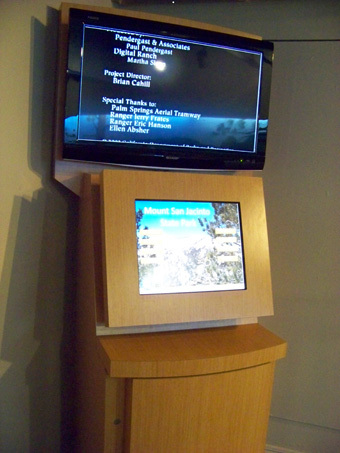 The CA State Park system needed an interactive system to deliver digital content about the wildlife and natural feature of the Mount Jainto State Park outside of Palm Springs. 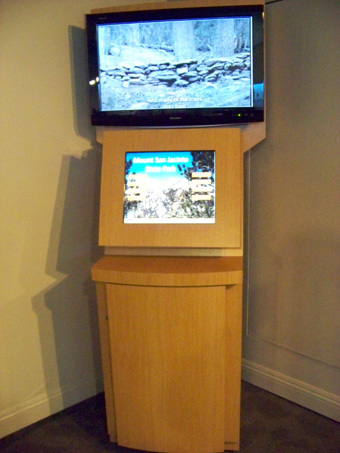 The increasingly popular Portico DV kiosk allows both interactivity via the 19" touch screen and allows the entire room to see the content on a 32" LCD. The DV can handle up to a 40" LCD.